Grant Maximizer™ is designed as a suite of software. This means you can use only the components you need without extra bloat; thereby, simplifying your work and saving money. It’s also highly customizable to provide you with precision, quick-access tracking and reporting at levels of detail you never imagined. But don’t confuse detail with effort. Grant Maximizer™ automates much of what you’re now doing manually, giving you greater detail with minimal effort. In fact, much of the data you need is instantly available from your At-A-Glance dashboard with no extra effort at all! 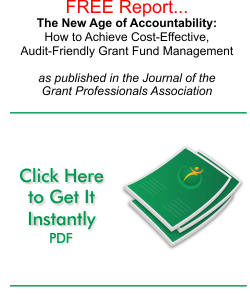 Our CPA-and-auditor-mentality is built right into Grant Maximizer™. We like to say it’s what makes Grant Maximizer™ smarter and smoother than competitive software tools. Grant Maximizer™ puts your finger on the pulse of performance and cost-effectiveness of every program and service provider by exposing which of your activities and providers are producing the best (and worst) results. This allows you to make evidence-based decisions that increase your organizations overall impact. Grant Maximizer™ comes bundled with top-notch service and support. We help customize the software to your needs, integrate with your primary accounting system, and get you smooth sailing. With Grant Maximizer™, help is always just a phone call away. You gain crystal clear insight on accountability and performance data that your current labor-intensive methods simply cannot provide. Not only does it become easier to fulfill Grantor requirements, your Grantors and Partners will respect and appreciate the deeper insight you provide on the performance of every grant dollar. As a result, you become more attractive to Grantors for future grant funding. With Grant Maximizer™ at your side, you no longer have to worry about failing to meet the current and impending Federal grant compliance regulations. 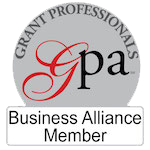 We are deeply connected to the grant community and keep Grant Maximizer™ ahead of the curve on compliance-related issues. You can take relief in the certainty that your data and reporting remains audit-friendly. Grant Maximizer™ delivers so many benefits, words can only scratch the surface of its immense value. Watch the videos for more details, and be sure to request a free, no-obligation demo for an eye-opening experience. Tracks grant proposal data, correspondence, and documents. It brings allocation rates for team members to your fingertips and provides award status and success rates by funders and grant writers. Makes it easy to create, modify and track detailed budget data automatically with no cumbersome spreadsheets required. Quickly and easily reconciles data to your primary accounting system, eliminating needless frustration and effort – not only for your grant team but also for your budget and accounting departments. Captures provider time and participant time in one place, providing an audit trail that links time and effort directly to services provided. Provides estimates vs. actual for both cost and outcomes to determine cost-effectiveness of your activities – giving you valuable insight on your best-and-least-performing activities.